What Can Small Business Owners Learn from the Kardashians? From their attention-seeking antics to their extravagant lifestyle, there’s no doubt that the Kardashians know how to steal the spotlight. However, while their status as socialites and fashion icons continues to land them in the tabloids, their entrepreneurship and savvy marketing skills continue to generate significant profits for their multiple businesses. So, what can small business owners do to yield the same level of success? In episode # 122, Gene Marks and Elizabeth Larkin discuss several important lessons that business owners can learn from the Kardashians. 4:52—Today’s Topic: What Lessons Can Small Business Owners Learn from the Kardashians? 6:43—Like Kim Kardashian, small business owners need to focus on selling and building their brand. 8:50— Another lesson that you as a business owners can learn from the Kardashians is not to get emotional about your businesses endeavors. If a particular business isn’t working, close it and move on. 9:23—You cannot be afraid to put yourself out there. Continue to promote and grow your business regardless of what others think. 15:32— You can’t be too precious about your brand; you need to be willing to take risks and grow your audience. 16:25—Ultimately, the ends justify the means and if a particular venture gives you the opportunity to make more money, you should take it. However, if you are juggling multiple niche markets, be sure to prioritize them and focus on the most lucrative one. 19:22—Develop a thick skin and don’t be afraid of criticism because this will inhibit you as a business owner. 20:40—Gene advises business owners to carefully consider whether a dress code is actually necessary for their office. Do I Have to Institute a Dress Code at My Small Business? Elizabeth: Welcome back to the Small Biz Ahead podcast. This is Elizabeth Larkin. I’m here with Gene Marks. Gene: Happy to be here. Elizabeth: I just want to do a little reset because we have a ton of new listeners right now. I think July … This is true. Gene is looking at me like I’m crazy, but July 2018 was like our highest download month. Gene: Good to hear. It sounds like a lot of smart people are waking up to the benefits of a Small Biz Ahead podcast. Elizabeth: Gene, can you just do a quick intro of yourself, who you are, what you do, why you’re here? Gene: Right. This podcast is devoted towards business owners, existing business owners, for the most part. I mean, there’s a lot that applies to startups and others. You don’t have to have employees. You can be a freelancer or an individual, but you can also be running a company with 10, 20, 200 people. That’s what I have. I’m an existing business owner. I’ve run my own company now for about 25 years. We have a large number of clients in my company that are also existing business owners. We are all dealing with lots of issues all the time. Elizabeth: That’s why Gene is our perfect small business expert, as I like to call him. Not only is he a small business owner and is out there in the trenches every day, but all of his clients are small business owners. Elizabeth: You really get into their businesses and figure out how they work, what technology they need. Gene: Right. Well, I’m a CPA so we deal with a lot of accounting systems, which means we have to look at accounting information as well as customer relationship management and self resell. We get into their books and their management and all of that. I’m a gossipy kind of … Not that I share the information about them, but I love to see how other companies are doing and compare them to mine. Whenever I meet with a client or I’m on a project, I always walk away with like three things to write about. Elizabeth: Because you ask a lot of questions. Gene: I do. I find it fascinating work. I learn a lot from a lot of different clients. I meet a lot of smart people way smarter than me. Gene: They’ve been running their companies for years. My job when we come on this podcast is for me to share with our audience stuff that I’ve learned out and about on the field of war. Elizabeth: I’m Elizabeth Larkin and my job is basically to just sit here and tease that information out of Gene for other small business owners. I work for The Hartford. 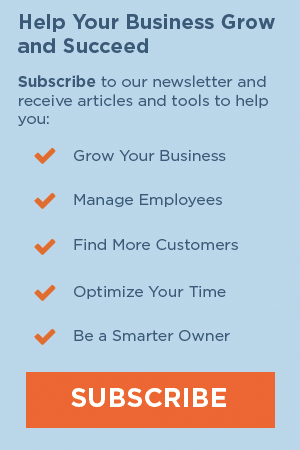 I work on a blog called Small Biz Ahead that helps business owners improve their businesses basically. Gene: Yeah. You are an entrepreneur yourself. You blog as well. You’ve done entrepreneurial things in the past. Gene: More times than any other word. Elizabeth: More times than any other word on this podcast. If you didn’t look at the title of the podcast, you’re going to be very surprised what it is. We’ll be right back to delve into this very important topic after we hear from our sponsor. QUESTION: What can SBOs Learn From The Kardashians? Elizabeth: The word … I don’t want to leave anyone in suspense. Gene: Everybody is sitting on the edge of their seats. Elizabeth: The word is Kardashians. Elizabeth: Gene is a big fan of the Kardashians, but not in the way that most people are fans of the Kardashians. Most people love to hate the Kardashians or they like to make fun of them. Or they’re just a fan of them. The editor of Small Biz Ahead, Hannah Stacy, who Gene works with all the time, is a legit fan of the Kardashians. Gene: So am I. I’m a legit fan. I don’t love to hate them or make fun of them. Elizabeth: Gene, you’re a fan in a different way. You admire their business acumen. Gene: I do. I’m fascinated. I mean, we watch their show, my wife and I.
Elizabeth: You actually watch the show? Gene: Elizabeth, we will pause the show if one of us is getting up to go to the bathroom or something so we don’t miss any of the dialogue. I am not kidding you. We just love it. That doesn’t mean that we’re not sitting there doing other stuff at the same time the show is on. Gene: No. On Sunday night? No. To us it’s like just the perfect type of TV show to watch on a Sunday. You don’t have to think too much. Elizabeth: Lots of vocal fry. Gene: Yeah. Lots of vocal fry. Elizabeth: I’ll link to an explanation of vocal fry in the show notes. Not to put you on the spot, Gene, but when you think of the typical Kardashian watcher, you’re probably not what people picture in their head. Right? Gene: Probably not because I’m a middle-aged guy that’s watching the Kardashians. First of all, I mean, how creepy is that? First of all, I draw the line at Kylie and Kendall. When Kylie came on with her own reality show, I’m like, “We’re not going to watch that.” The girl is like 20 years old. I mean, I have to draw the line somewhere. Although, I did watch the Rob and Blac Chyna reality show that was on. A very short-lived show, which was like watching a train wreck. Elizabeth: I didn’t even know that existed. Gene: It was incredible to watch. We were glued to that as well. The Kardashian women are all in their 30s, in their late 30s. I think they’re classic. I think they’re hilarious. I think the conversations they get into are also very entertaining. More importantly, I’m fascinated with their lives and their business. Gene: No discernible skills. How did it all happen? She became sort of infamous for certain things that she did in the past. I get that. Really, how did she turn that into an empire that she’s doing right now? The real story about Kim Kardashian, when you go back and read about her, is that she was an entrepreneur since she was a little girl. I mean, her father, Rob Kardashian. Not Rob Kardashian. I forget the name of the father now. He used to give his daughters money, ask for it to be paid back if they ever wanted to do any of her ventures. Her first thing when she was like a teenager, she used to go and clean out people’s closets. Because they were sort of connected in the Hollywood area, she would go and clean out celebrity’s closets as well. Then she would post pictures of it on whatever was My Space, or whatever at the time. She got somewhat of a following. She would find stuff and get permission to then resell it on Ebay. Then she started her own Ebay store. She was very successful on this Ebay store as well. Then she turned that into her sort of reality empire. For her, it’s always been about selling, selling, selling. How can I make money off of this? How can I increase my brand around it? It’s always been about just sort of growing her business. It’s evolved into a chain of stores, which they recently announced they were shutting down. Cosmetics line, clothing line, lipstick, all sorts of things like that. Elizabeth: They will abandon something pretty quickly if it’s not panning out. Gene: They will. They will. I have had conversations about them. They closed their Dash chain. They had four or five stores. It wasn’t doing that well. They decided just to close it. I kind of criticized that at the time, or questioned it, only because they could have built it up a little bit more and sold it for more of a profit. Instead, they decided to close it. Kim’s attitude is, if they’re not making enough money they’re going to move on. She doesn’t get very emotional about that kind of stuff. The other thing that’s amazing about her is she’s not afraid to take chances. She’s not afraid to put herself out there. She knows she gets … Sometimes it gets to her. She gets abused, as we know, in the media and public eye and whatever. She’s grown a bit of a thick skin. Listen, if you’re going to put yourself out there, you get what you ask for. Elizabeth: You get so many mean comments on the articles that you write. Gene: I know. People just don’t seem to take her seriously. A perfect other example is Kylie Jenner, that’s the youngest one. She’s like 20 years old. She’s on the cover of Forbes Magazine recently. She has a net worth of nine hundred million dollars. This 20-year-old girl. Granted, she got her step-off from the Kardashian name. Elizabeth: Okay. This is something that I want to address though. If you’re not familiar with this, it was a cover about how she was going to be the youngest billionaire, I think, in the world. Elizabeth: It’s not like she started from nothing. Elizabeth: I think that’s what really rubs people the wrong way. I mean, if you’re already a multi-millionaire and then you decide like, “Oh, I’m going to open this business.” It’s kind of like we talked about Gwyneth Paltrow’s Goop. Would Goop be successful without Gwyneth Paltrow? Probably not. Gene: Probably not. You know what? I have met a lot of business owners that were given assets from their family. They inherited businesses from people. They stumbled into deals. They happened to be at the right place at the right time. There is luck involved. I will call Kylie’s situation to be somewhat luck. She was born into the Kardashian family. I mean, come on Elizabeth, you don’t just then turn that into a billion dollars. Elizabeth: The products have to be good. Definitely. Gene: Yes, they do. You have to have the savvy to know what’s going to sell. Elizabeth: I think the issue people had with that cover story is that it was kind of posited as if she was a self-made almost billionaire, which she is not. Gene: Right. I can tell you, out of the nine hundred million, if we credit her with self-making a hundred million, or five million, that’s a lot more. Elizabeth: You really can’t do that. You can’t parse it out. Gene: Understood. It’s all overlapping. Gene: Elizabeth, if you look at the Forbes, the annual issue of Forbes Magazine where they go to the richest people in the world, and you look at how these people made their money, it all came from somewhere. Gene: There’s a handful of people, the Jeff Bezos of the world or the Mark Zuckerbergs, the people that really did create something. Everybody loves that. Certainly there’s a percentage of people that have done that. I am telling you, more than 50% of the people that are on that list are people that inherited money or it’s family money or they were in the business anyway. Gene: We shouldn’t take away from those people because there are plenty of people that would have squandered it or not known what to do with it or may not have grown at all. She took the opportunity and ran with it. Gene: You can take that up with the magazine. Elizabeth: Yeah. I don’t think she is out there saying, “I’m a self-made billionaire.” I don’t think she would ever say that. Elizabeth: I think it was the magazine saying that. Gene: Magazine likes them. I mean, Kim was interviewed two years ago now. Elizabeth: The magazine likes them because they give them sales and page views. Gene: They sell. What does that mean? I mean, that means they have a huge fan base. They have millions and millions of followers on Instagram and Twitter. People listen to them. They buy their products. They are a powerful brand. When people make fun of them, I always think to myself, “Okay. You do that, dude. You go out there and generate the kind of money that they’re able to do.” They have one tweet they charge tens of thousands of dollars. Elizabeth: Let’s talk about Kris. Elizabeth: Do you think that Kris is the real brains behind the operation? Gene: Kris is the mom. Okay? She’s the one that’s managing these women. Gene: They already know who Kris is at this point. Elizabeth: Everyone else has pushed past to the next episode. Gene: What about Kendall? We haven’t talked about Kendall yet. Elizabeth: I don’t watch the show. Elizabeth: Hannah Stacy. Our editor. Gene: I want to see what’s going to happen to the Kardashians to really prove their worth as entrepreneurs. I mean, I don’t want this to come across the wrong way, but the sisters are getting a little bit older. I mean, they’re in their mid to late 30s. They’re no longer young kids anymore. How will they rebrand themselves when they’re in their 40s and 50s and 60s? You know they’re not going anywhere. They’re going to want to do that. Gene: I will tell you this much. When we come back for our five thousandth podcast 20 years from now. Elizabeth: Yeah. I think we’re in the 130s at this point. Gene: When we come back for that, if we are still talking about the Kardashians as women in their 50s, 20 years from now. Gene: Come on. You could not argue that these people are not smart marketers. Elizabeth: Okay. I’m going to answer this question first. Here’s going to be my question to you. I’ll give you a little time to think about it. Elizabeth: What is the lesson for your average small business owner from the Kardashians? My answer would be they’re not afraid to look dumb. They will go out and they’ll pretty much promote any product. I remember a couple years ago Khloe, I think, got in trouble because she was promoting Popeye’s, the fast food chain. Elizabeth: A lot of people, a lot of celebrities, would be like, “That’s going to tarnish my brand. I’m not going to promote Popeye’s.” She was like, “They’re going to pay me two million dollars to do an Instagram picture about Popeye’s. I’m going to do it.” If you’re that kind of business owner, you do need to be able to take chances and maybe not everything … You’re not always protecting your brand and thinking about what your brand is going to look like. They really aren’t afraid to go out and just work with anyone that will work with them. Gene: Couldn’t agree with you more. My biggest lesson for a business owner is that the ends justify the means. Right? They’re entrepreneurs and they want to make money. They have a lifestyle that they want to maintain. If you’re not doing anything illegal, who are we to judge how somebody makes their money? Gene: Some people get very wrapped up in saying, “I want to run a business, and it has to be a certain way. We have to sell a certain type of things.” Some of it’s ego. Some of it is what they want their neighbors to think of them. The Kardashians are like a lot of other business owners, clients of mine that I meet. If they can buy a light bulb for five bucks and sell it for 15 bucks somewhere else, that’s what they’re going to do. They’re businessmen and women. This is the way that they … They’re out to make money. They’re out to make money. I just don’t have any problem with that. Elizabeth: Are there any types of businesses that maybe you shouldn’t take those kind of chances? In your business, would you ever think you’d get … Someone would offer you a deal to do something and you’d think that’s going to tarnish my brand? Gene: The only things that you avoid is going into … There’s lots of ways to make money. Let’s eliminate the illegal ways to make money. There’s lots of legal ways to make money. Right? Gene: What you want is to make sure that what you’re going to do is not going to distract you from other activities that could be making you more money. This was like 15 years ago, I had a client that they were running a very successful big supply business. I don’t know what got in their heads. The two partners wanted to open up an Italian restaurant. They sunk money into it and hired a chef. Elizabeth: The Kardashians could do that and it would probably be successful. Gene: They could. That’s exactly it. They wouldn’t necessarily open up a supply business either. Do you know what I mean? For the auto industry. If it dovetails into what you’re doing, and you can leverage what you’re doing, then I think that’s a really good thing. I’m right in the middle of starting up another business right now. It’s a training platform. We talked about this a while ago. It’s going well. It’s different than what we do, but it’s related to what we do. You know what I mean? Gene: That’s what I’m a proponent of is just … With the Kardashians, if they can find a reason to put something under their umbrella, then by all means go for it. Elizabeth: They are a lifestyle brand. Gene: Right. It’s a big umbrella. Gene: If I saw them investing in a trucking company or doing something that was in … I don’t know. In farm equipment. I would not advise them to do that. You’re right, anything lifestyle works for them. I think you want to remember that if own a business, don’t be afraid to take chances. Don’t bet the farm on anything. At the same time, if something can be indirectly related to your business or dovetails into your business, that’s the kind of thing that you want to take some chances with. Elizabeth: Maybe don’t be afraid to get some criticism. Gene writes articles for Small Biz Ahead. They get the most comments of any articles on Small Biz Ahead. Gene: Believe it or not, not all of them are positive. Elizabeth: Not all of them. Most of them aren’t. Gene takes a very hard line and isn’t afraid to get out there with his opinions. Elizabeth: He takes criticism for it. I mean, he will even say in articles that he’s a CPA, and people will question him and say he doesn’t understand math. Elizabeth: It just rolls off his back. He does not care. Gene: I need to talk to my mom about that because she keeps reading these comments. She has nothing better to do. Elizabeth: Oh, gosh. Those are our lessons for either Kardashian fans or Kardashian haters or people like me. Elizabeth: We’ll be right back with Gene’s word of brilliance. Elizabeth: We’re back. Gene has his word or words of brilliance. Elizabeth: Really. Okay. Go for it. Elizabeth: We’ll link it in the show notes. Gene: Yeah. It’s neckties. My working title was I’ve always thought … This is true indisputable proof that neckties are evil. Gene: There was a research study that just came out. It was published in the medical journal called Neuroradiology, which, if you need to borrow my copy… I just need to finish up a couple more articles. These scientists did this whole study of men wearing neckties. They found that the typical Windsor knot, when tied just a little bit too tight, which people do or whatever. It cuts off something like seven and a half percent of cerebral brain flow. Just by a slightly tight knot. Elizabeth: We need all of that. Gene: We need all of the cerebral brain flow we can get. If you are cutting off blood flow to the brain, it makes you dumber and less productive. That actually dovetails into … There was a couple of other studies that were recently done. One at the University of Glasgow. It was about a year or so ago. It said that wearing a tight collar or tie may compromise the venous drainage of the brain and thus impair cerebrovascular reactivity. There was another one in the British Journal of Ophthalmology that said that a tight necktie could affect the diagnosis and management of glaucoma. Tight neckties are bad. Neckties are bad. I have not worn a tie in years. I used to when I was working at an accounting firm. Elizabeth: What about if you go to a funeral or wedding or something? Gene: This is the thing. Okay. I actually am wavering on wearing ties when I go out. Gene: We don’t have any friends. We don’t have to go to many funerals. It works out that way. Elizabeth: … sounds like he’s very social but, when he’s done with work, he just likes to go home and watch Game of Thrones. Elizabeth: And to talk to his wife. Gene: And other shows as well, which I can recommend. The bottom line is this. This really is a story about dress code, and what you want to require as part of a dress code. If you’re running a business, do you require your employees to conform to a certain type of dress code? Nowadays, I mean, different people come on different sides of this. There are certain businesses that, I think, you want to have people to have a dress code. Elizabeth: Yeah. If you’re customer-facing. 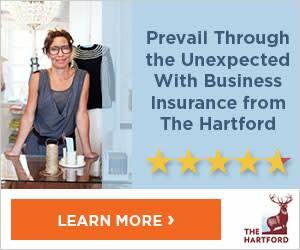 I know at the Hartford … I don’t think it’s written anywhere, but it’s typically business casual. Gene: Sure. Are they required to wear a tie? When you say business casual, I’m assuming no. Elizabeth: I don’t think there’s anything in the handbook about what … No. We rarely see … Once in a while I’ll see someone wearing a tie if they’re presenting to like our CEO or something. Elizabeth: That actually … Think about that. Most CEOs wear ties everyday. Gene: You’re in the C-suite. Gene: Senior executives, a lot of them still do. A lot of senior financial people, attorneys, people in government. You see senior politicians. The tie is still there. First of all, where did these things come from anyway? What purpose do they even serve other than cutting off the flow of blood to your brain? Gene: The bottom line is that you want to consider what your employees are wearing to work, whether or not you require a uniform or not. I do think there are some jobs that do. If you’re running a store, a retail store, and you’re selling high fashion, I would expect the retail employee to be dressed appropriately. Right? You don’t want some shlub selling high fashion. Gene: It’s a fine line when you tie ties. I never got it right. I never could figure out how to do a tie. It’s a fine line. Elizabeth: What about a clip-on for you? Gene: Clip-on. People can tell right away. People say I can just wear a clip-on, but you can tell. That looks even worse. Elizabeth: What about a bow tie? Gene: Bow tie? I’m not even going to go there. Not my look. We don’t require any type of attire for our people. They can dress as long as it’s, like you said, it just sort of has to be a professional look. One of the many great things about the world in 2018, and running a business in world in 2018, is you really can get away with not having to really dress up and wear those ties nowadays. Gene: Look back at your parents back in the 60s and 50s. Gene: Oh, my god. How they had to dress. Elizabeth: Oh yeah. I have a lot of friends who run businesses in their pajamas. Gene: Yeah. I think maybe that’s going a little too far. I don’t know who these friends are. Again, business casual, I think, is very nice. I think there’s nothing wrong with that. I think that it works fine regardless of the job that you’re doing. Elizabeth: We’ve got a couple articles on how to communicate a dress code to your employees because that can get a little awkward. Elizabeth: We have an article on what to do if your employees are wearing inappropriate clothes to work. Again, that is so awkward. Elizabeth: We’ll link to those in the show. I keep saying we. Actually, it’s Hannah is going to link to those. Gene: Let Hannah do it. It’s what she does well. Elizabeth: Hannah is so great. Elizabeth: She does so many things well. Elizabeth: All right. We’re going to be back. In our next episode, we are going to be talking about another very important topic, which is probably a little more relatable than the Kardashians, which is calculating profit if you’re running a business like a restaurant or if you’re a merchant. Gene: Good. I like it. ← How Much Money Can You Make with Uber?